It's not every day you get a chance to watch an artist like Lesley Keane at work. MAC's senior artist was back on her home turf last week to lead a pro masterclass in association with the Irish Film and Television Awards (the IFTAs) - MAC is the official makeup partner of the awards. 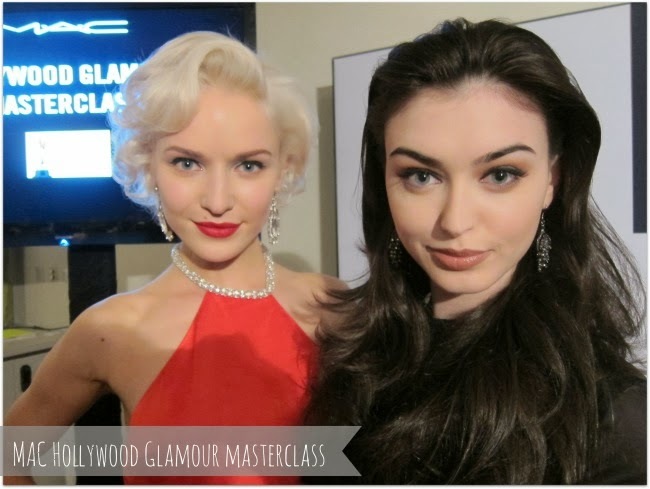 Fittingly, Hollywood Glamour was the theme and a packed room of beauty enthusiasts watched Lesley work her magic to transform models Teo (left, above) and Sarah into Marilyn and Angelina Jolie. "Start with the focus of the look", Lesley told us, so after creating a flawless base for Teo with Mineralize Moisture Foundation and a dusting of powder, it was on to the lips: Cherry lipliner and Russian Red lipstick were used to create the trademark Marilyn pout. While vintage inspired, to keep the look modern and current just four products were used on the eyes: Clearwater paint pot, Blacktrack gel liner, mascara and some brown eyeshadow for the brows. I'd never have gone for the eye colour, a greyed out blue, but it looked spectacular. With Angelina, the focus was on the eyes and Lesley layered several products to build a seriously sultry smoked out look. Starting with a caramel cream shadow - MAC's paint pot in Groundwork - Lesley used stone lipliner in the crease to intensify the shadows which followed (Embark and Honesty). Stone was also used on the lips along with Fresh Brew lippie which we're told is a favourite of Angie's - these 90s shades were gorgeous on Sarah and I've been playing around with similar shades ever since. Watching Lesley's technique was brilliant and I picked up a few tips that I've been using ever since. When filling in brows, start from the bottom and fill in a straight line up to and through the arch, then work from the top down to the tail of the brow. This is a lot simpler to watch and to do than it is to describe! For flicky eyeliner, start the flick from the last lash; this stops the positioning from getting distorted when you open your eyes. Don't be afraid to mix and match: lipliner on the eyes, eyeliner on the lips, eyeshadow as highlighter or to contour the cheeks, etc. For a more modern look, don't pile on all your products at once - less is more! What do you think, anything there you could incorporate into your regular routine? 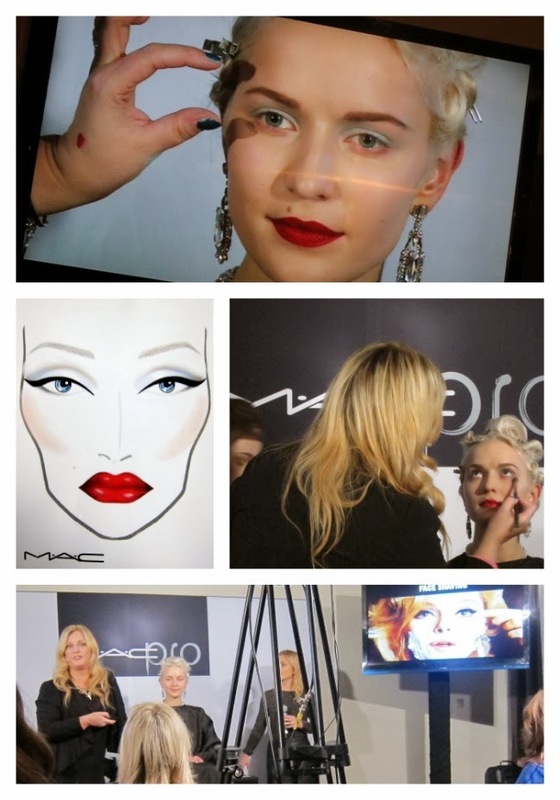 Check out some of MAC's gorgeous upcoming collections. Really loving that Angelina look! It was definitely a glamour-filled room! What a lovely event! Fabulous tips! Last week I just treated myself to the MAC Mineral Moisture Foundation, I really love it . Hopefully it makes me look half as flawless as these beautiful ladies. Great makeup tips aswell Emma, I'm still unable to master the "flicky eyeliner" action, so I'll give that tip a go!! Hey Emma, it looks like you had a lot of fun! 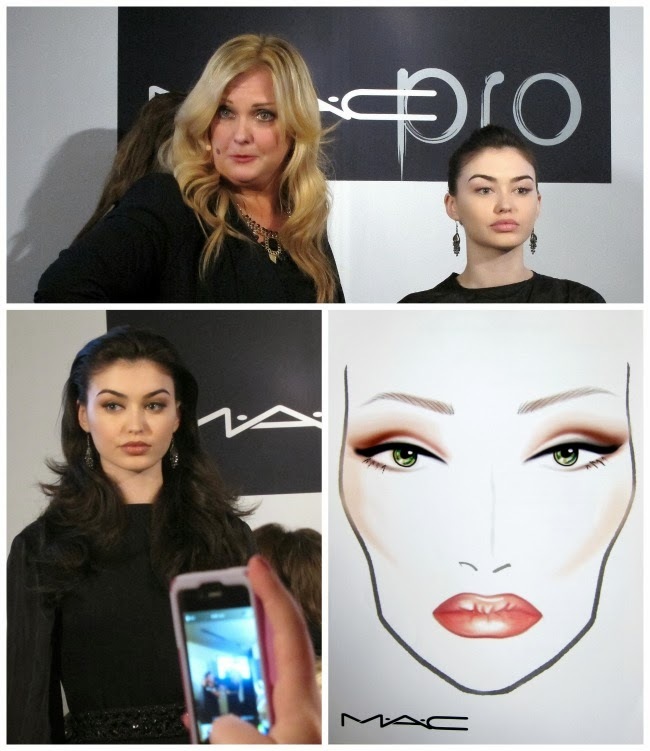 I've been to a couple of MAC masterclasses, and I always get so inspired! The finished looks are so dang gorgeous! Work of a true pro! What a brilliant treat! Thanks for sharing some of Lesley's tips! Love the Angelina look. Gorge!